There’s a lot of hype about bone broth. Some nutrition experts say it can promote healthier hair, improve digestion and even reduce inflammation. But is it really the miracle food people say it is? Here’s what you need to know. At just 50 to 60 calories per cup, you’re getting a whole lot of bang for your buck with bone broth. A warm cup or two is also very filling, helping stave off hunger pangs in between meals. Many people enjoy consuming bone broth for breakfast to give the liver and gut a head start. Bone broth may improve the quality of your hair, skin and nails. If you’re too nervous to try Botox (and you should be), the good news is you can naturally find collagen in bone broth. Collagen gives skin its elasticity and structure, the loss of which leads to increased signs of aging — like wrinkles. When you cook animal bones, the collagen breaks down to become more digestible. Then, this nutritious soup is said to promote healthier looking skin. 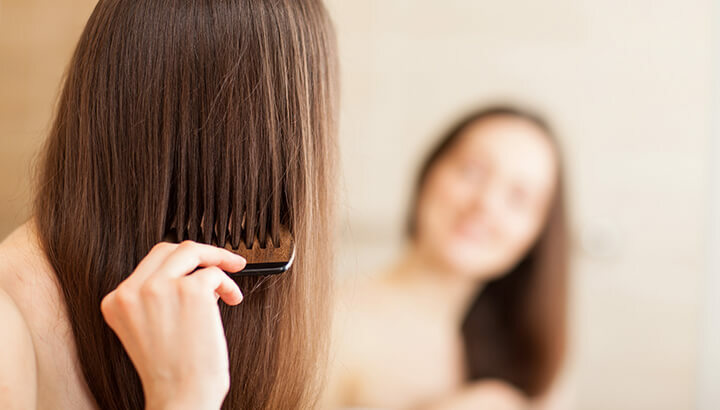 The same is true for hair and nails, which also rely on collagen for optimal growth. Bone broth can help relieve joint pain. Many joint pain medications contain glucosamine and chondroitin, but they can be cost prohibitive. Fortunately, bone broth is a natural source of these compounds. Glucosamine, in particular, is said to reduce arthritis symptoms because it increases the amount of fluid and cartilage surrounding our joints. Additionally, bone breath contains high levels of collagen, which has been linked to reduced joint pain. Glycine is the precursor to glutathione, which aids in detoxifying the liver against toxic chemicals and waste accumulation. In one study, researchers found that glycine protected against oxidative stress in lab rats and reduced symptoms of metabolic syndrome in the gut. As if that wasn’t enough, researchers have also linked glycine to reduced anxiety and better sleep by reducing core body temperatures. That all sounds great, doesn’t it? 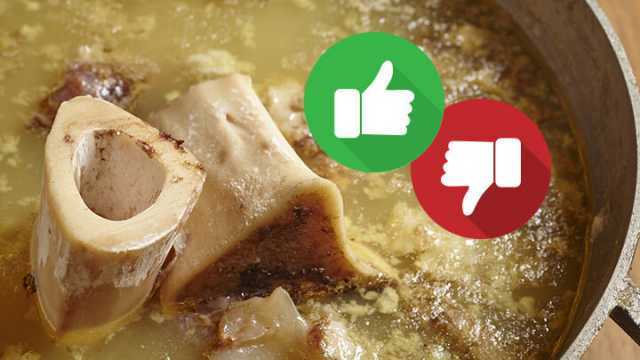 But before you turn up the stove and simmer animal bones in a pot, read on to find out some of the cons about bone broth and what you may want to use instead. Our modern environment is contaminated with heavy metals, leading many to be concerned about these compounds showing up in our diet. In one study, researchers evaluated three kinds of chicken broth and found that each one contained high lead concentrations. As a result of the study, the researchers advised exercising caution. “In view of the dangers of lead consumption to the human body, we recommend that doctors and nutritionists take the risk of lead contamination into consideration when advising patients about bone broth diets,” they said. Even low-level lead poisoning can cause hearing damage, nervous system and kidney damage, decreased muscle and bone growth, digestive disorders and joint pain. A study by the American Academy of Pediatrics found that no level of lead is safe for children, in particular, so please exercise caution and talk to your doctor about whether or not bone broth is safe for your family. Bone broth may cause disorientation and fatigue in those sensitive to glutamate. For some, bone broth may be a superfood. But for others, bone broth may be a nightmare. That’s because it contains high levels of glutamate (different from MSG), a neurotransmitter used for learning and memory. Some sources warn that the glutamate in bone broth may cause seizures or exacerbate conditions including leaky gut, autoimmune disorder, autism, ADD, multiple sclerosis and other neurological disorders. According to this doctor, some individuals may experience fatigue, disorientation, skin rash or joint pain after consumption. If you, a loved one or a child is having any neurological complications to bone broth, stop eating it immediately and see a physician. With the popularity of bone broth, and manufacturers trying to keep up, low-grade varieties will always find their way onto grocery store shelves. And like all processed foods, pre-made bone broth may contain harmful preservatives, additives, artificial colors, fillers and flavor enhancers that will send your body out of whack. Make sure you scan the label before you buy. There are four ingredients you should see: meat, water, bones and salt. If you can, it’s always better to make your own bone broth rather than going for a pre-made variety. One step better is to use an organic variety of meat. 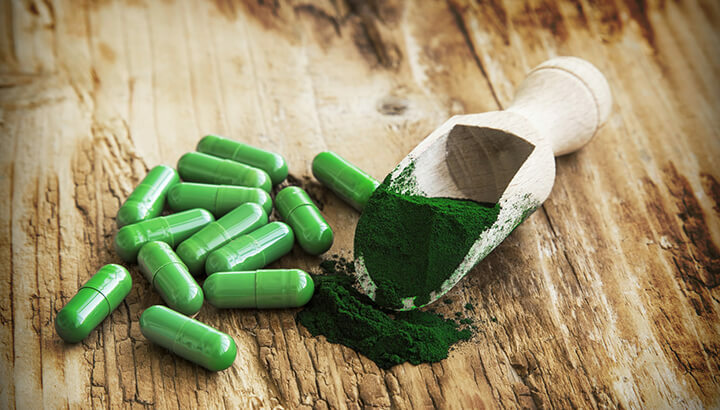 Spirulina has many of the same minerals and vitamins as bone broth. Foods with collagen: Look for red vegetables (tomatoes, peppers beets), dark green vegetables (spinach, kale), carrots, sweet potatoes, blackberries, raspberries, oranges, limes, lemons, grapefruits, soy, white tea. Foods with glucosamine: For pescatarian people, there’s shrimp, lobster, crab and crawfish. But if that won’t work for you, you may consider supplements. Foods with glycine: Check out soybeans, spirulina, dairy products and legumes. Foods with magnesium: Try dark leafy greens, seeds, nuts, beans, avocados, whole grains and dark chocolate. Love that last one! Now that you know the pros and cons of bone broth, here’s a delicious recipe to try and see how it works for you. Remember, it’s important to source organic meat, which is better for the animals, your health and the environment. Place all of the ingredients in a slow cooker for at least 12 hours, though 24 hours is preferred. Strain when cooled, then store in glass jars in the refrigerator. Enjoy! Have you tried bone broth? How did it work for you? Let us know in the comments! Hey Buddy!, I found this information for you: "Do You Drink Bone Broth? Read These Pros And Cons First". Here is the website link: https://www.thealternativedaily.com/pros-and-cons-of-bone-broth/. Thank you.